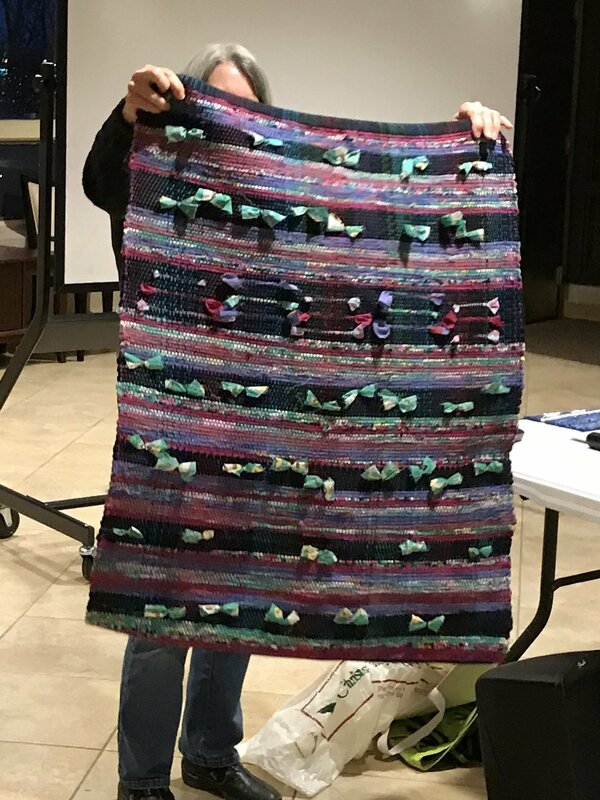 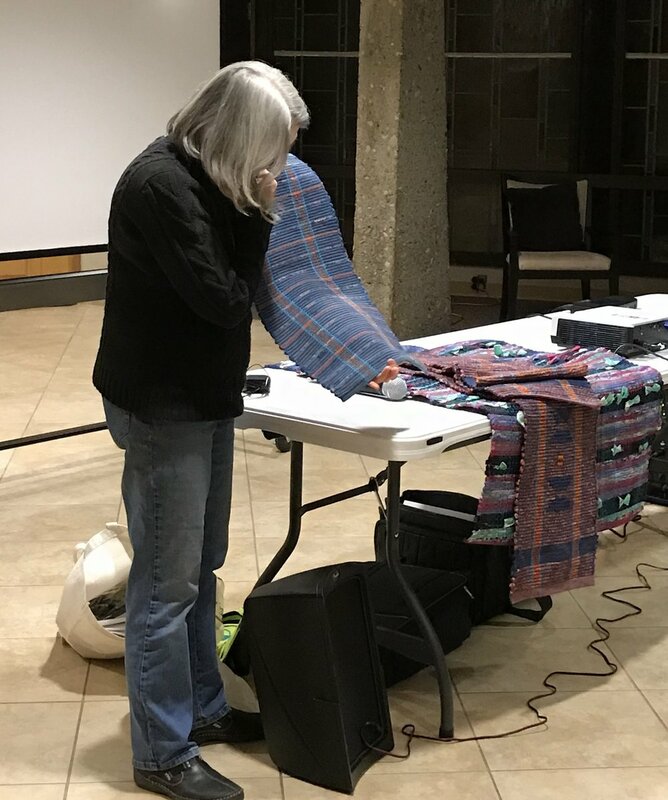 Sharon Olds presented a program on her experience at Vavstuga learning to weave Swedish-style rag rugs. 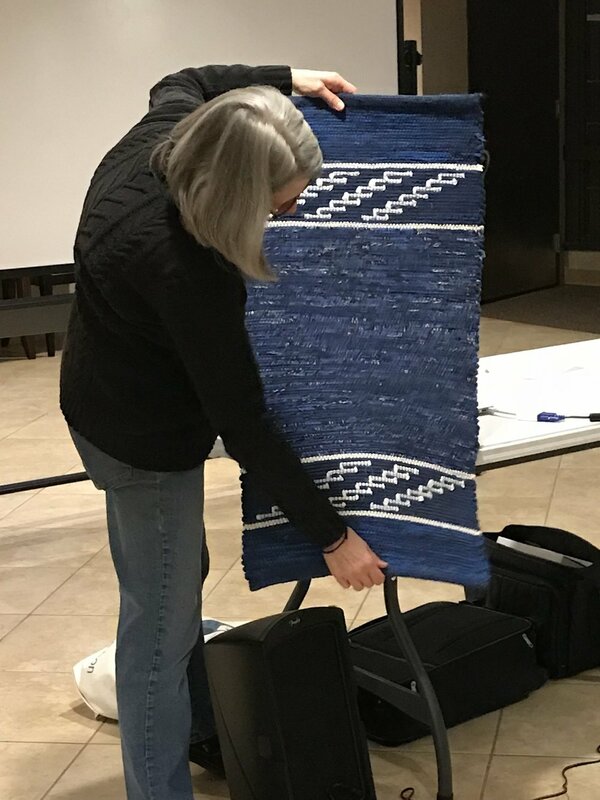 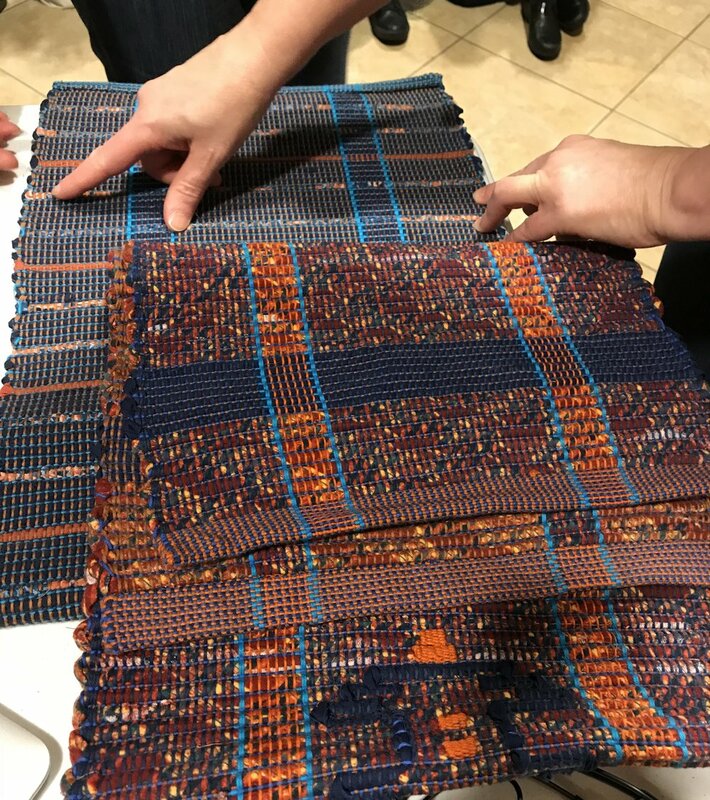 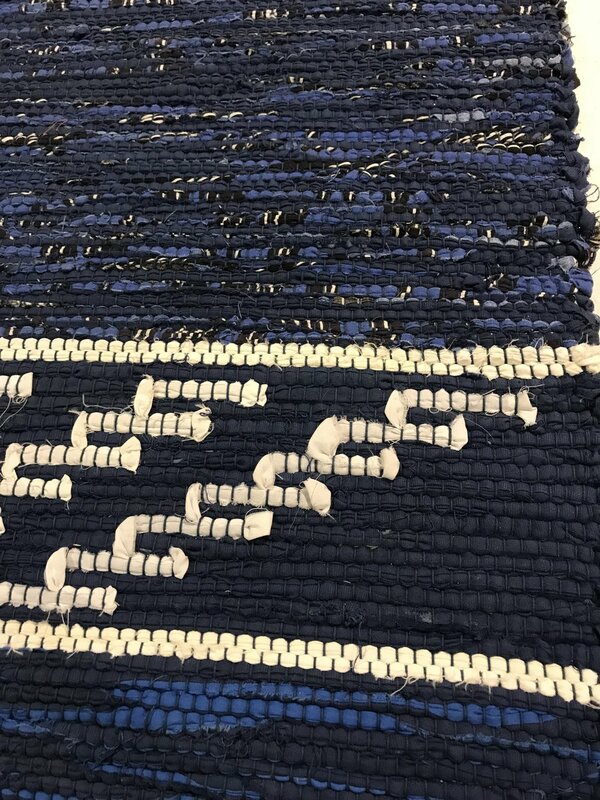 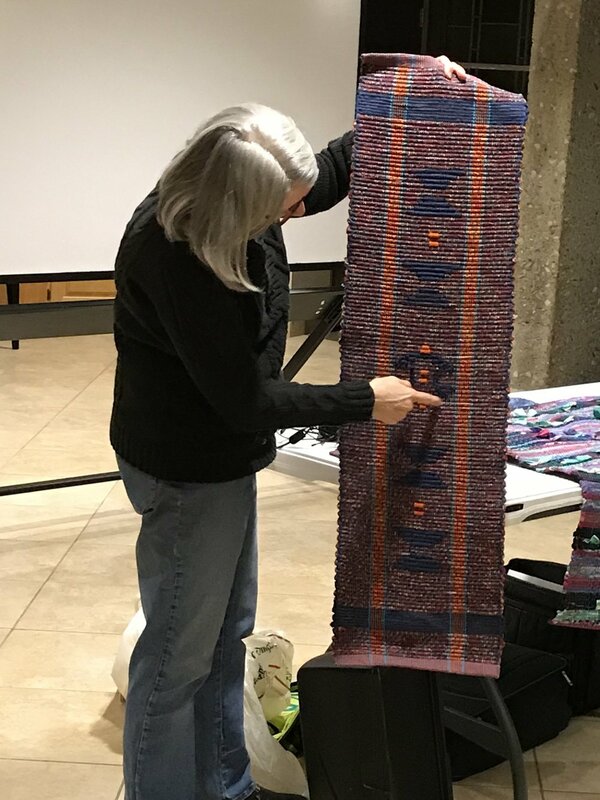 She brought several examples of rag weaving, including table runners and several rugs. 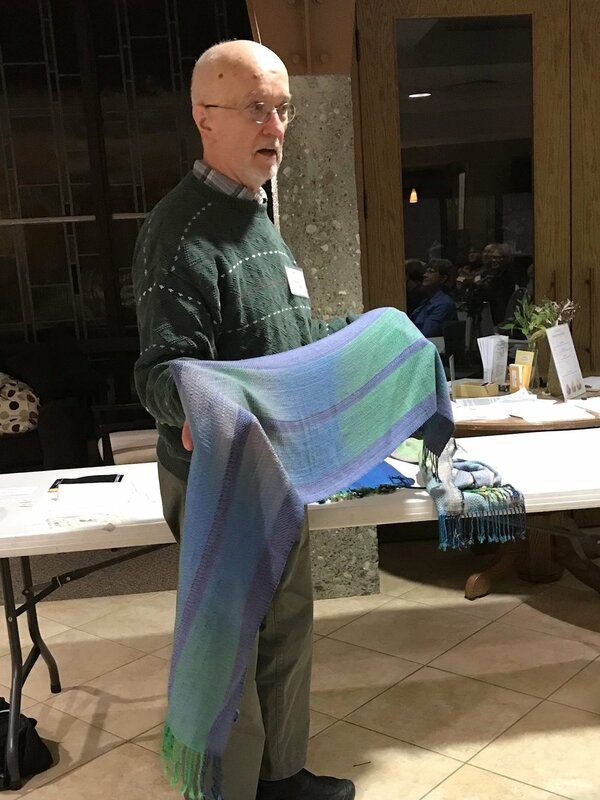 Show & Tell included a wide variety of items, from a silk "challenge" to several garments.